Where do you like games to store their save data? I’m trying to decide where my next game should store their save files so I decided to make a poll. is a total idiotic thing. Starting on Windows Vista there’s a pre-created “Saved Games” folder but most people seem to miss it since it’s not on the “My Documents” folder. 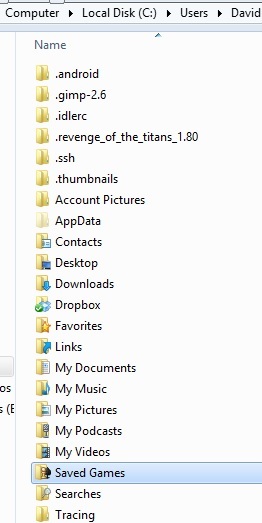 Others just create a folder directly on “My Documents” which some users find a bit obstructive. I’ve been considering giving a read at Dropbox API (if any) too, It would be a nice touch to allow direct integration. But that’s just an idea that’s probably tricky to integrate. So tell me what you think or suggest another one. Where do you like that games store their save files? Mr Amador, haven’t you ever reinstalled operating system? All your own suggestions hint that you have not, or you don’t give your games enough replay value to have data worth backing up. 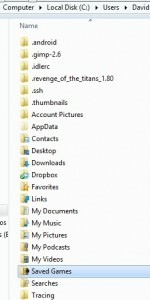 And the easiest way to do that, for end-user is to copy games folder with everything in them. Because I do care about backing my saves and find that the currently standards aren’t use did I asked for suggestions. Some of them do include all game folders inside just one.